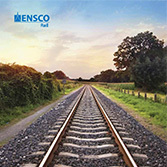 ENSCO delivers advanced rail technology solutions for the passenger, transit and freight rail markets. Since 1970, ENSCO engineers have led the rail industry in developing new, advanced technologies for transportation. ENSCO technology and services help customers improve the quality of their operations while making travel safer.